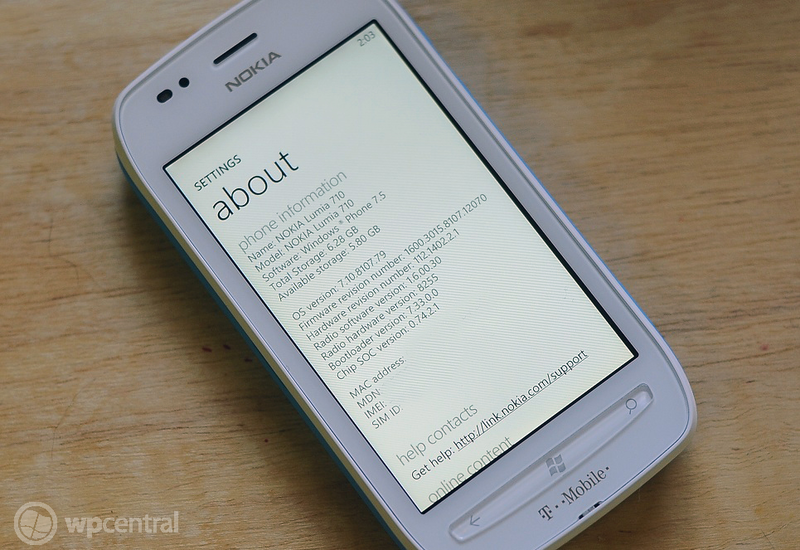 We've reported twice on Nokia getting ready to serve up some Tango ROM updates along with new firmware for the Lumia 710. First was a planned update for China and it was followed by an update for the carrier Proximus in Belgium. Both ROMs contained OS 8773 which is known as Windows Phone Consumer Refresh 3 (CR3) or just "Tango" and will have either 12111 or 12120 firmware on board to coincide with the pushed update. But what a lot of folks were wondering is if the firmware enabled Internet Sharing aka Tethering, a feature long missing from the Lumia 710 and Lumia 800. Indeed we can now report that at least some of these software updates will have this on board as site WP7.nl has installed and verified that this feature in present. Of course, we don't necessarily expect all updates to contain these as it will technically be up to the carriers but a good portion will opt for the pay-in service of wireless tethering. We expect Nokia to begin pushing these update for both regions and more in a few weeks presumably June, if an earlier report is correct. In the meantime, Nokia will probably begin to populate their servers with more updates for other carriers for the big OS refresh. We'll keep you posted.